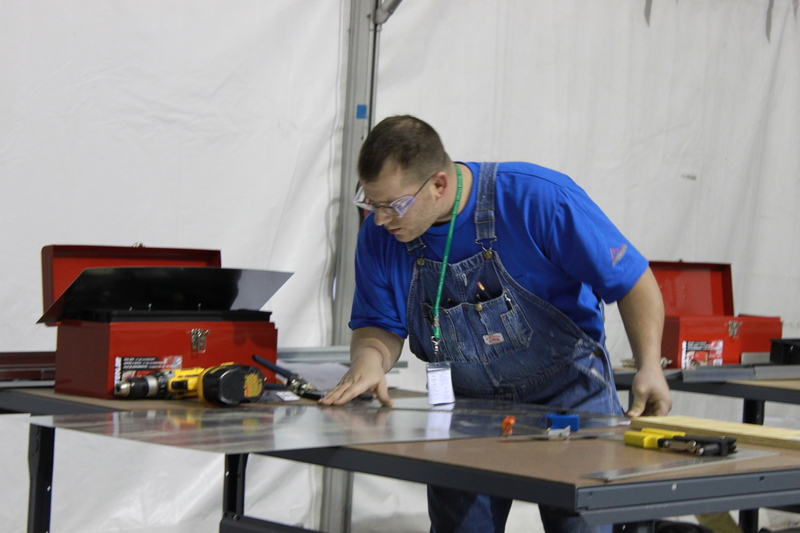 LAS VEGAS – More than 325 sheet metal apprentices and their families from the United States and Canada ventured to Las Vegas March 15-18 for the Annual International Sheet Metal Competition hosted by the International Training Institute (ITI). Five apprentices from four Sheet Metal Local Joint Apprenticeship Centers around the United States took top honors in the five sheet metal disciplines. Michael Collins, an apprentice from Sheet Metal Local #17 in Boston, Mass. won first prize in the HVAC (heating, ventilating and air conditioning) category. Two apprentices from Missouri took home first place finishes as well; Ryan Burton, an apprentice from Sheet Metal Local #2 in Kansas City won in the industrial/welding category and Dustin Walker, an apprentice from Sheet Metal Local #36 in St. Louis, won in the service category. Washington state was also represented by two first-place finishes – both from Sheet Metal Local #66 out of Tacoma, Wash. Casey Wilson-Williams won top honors in the TAB (Testing, Adjusting and Balancing in heating and air conditioning) category, and Lee Posey, an apprentice from nearby Gig Harbor, Wash. won in the architectural discipline. Each competition, no matter the discipline, consisted of a written test, sketching projects, a shop project and a blueprint reading test. Last year’s contest took place in St. Paul, Minn. In prior years, apprentices battled in regional competitions first, and the top 60 contestants continued on to the national competition. The March 15-18 contest is the first with such a high number of apprentices gathered in one location. More than 15,000 apprentices are registered at training facilities in the United States and Canada. The International Training Institute (best known as ITI) is jointly sponsored by Sheet Metal Worker’s International Association (SMWIA) and the Sheet Metal and Air Conditioning Contractors’ National Association (SMACNA). ITI offers apprenticeship and advanced career training for union workers in the sheet metal industry throughout the United States and Canada. Located in Alexandria, Va., ITI produces a standardized sheet metal curriculum supported by a wide variety of training materials free of charge to sheet metal apprentices and journeymen. For more information about the contest or ITI, visit www.sheetmetal-iti.org or call 703-739-7200.